Your next dental check-up is an opportunity to pick your dentist’s brain. Ask all of the questions that have been on your mind since your last visit. If you have any concerns, this is the time to bring them up to your dentist. Here is a look at some inquiries to make during your next dental checkup. Is my mouth in good shape? Your dentist will let you know if your mouth is healthy, unhealthy or somewhere in between. Ask about the state of your gums, teeth, and tongue. The dentist will let you know if there are signs of teeth grinding. Furthermore, the dentist will look for signs of oral cancer during your checkup. The fact that you make the inquiry about your general health will play a major role in the nature of the dentist’s response. Dentists tend to give more detailed and forthright answers about oral health when the patient is the one who raises the question. The dentist’s response will prove quite insightful. What should my frequency of dental visits be? The typical dentist advises a checkup once every six months. However, some people have severe oral health problems that necessitate checkups every couple of months. Others have teeth and gums that are nearly flawless and might not require a professional’s analysis for a full year. 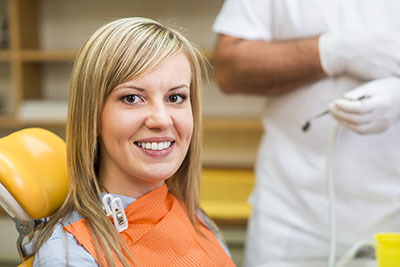 Your dentist will gauge your current oral health, past problems, looming issues, and other factors when determining the proper frequency of visits. Did you notice anything I should discuss with my doctor? Perhaps the dentist notices you have inflamed gums. Inflamed gums are a sign of diabetes. There might also be some alterations in your mouth that indicate the presence of osteoporosis, a vitamin deficiency, medication side effects or another health problem. Identifying these issues right away allows for faster treatment. What can I do to enhance my oral health? The dentist will give you some detailed advice about daily health cleanings. The dentist will also likely touch on additional ways to improve tooth strength and beauty such as using fluoridated water and mouth rinse. Even eating a healthy diet with minimal sugar-laden foods will improve your oral health. The dentist might even advise a certain toothpaste for your sensitive teeth. Perhaps you grind your teeth and night and can benefit from a night guard. Can you highlight some oral health priorities I should focus on? If you do not address your primary oral health issues, you will put your overall health in jeopardy. The health of the teeth and gums really are that closely tied to biological health. If you do not have your gum disease or tooth decay treated, you will have pain, cavities and/or tooth loss in due time. Though you might not be able to rectify all of your dental issues at once, the dentist can certainly pinpoint some aspects of your oral health to key in on. If you need several treatments or procedures, the dentist will help you determine which should take priority and which can be put on the back burner.